Caldwell County will be conducting a public auction of county-owned cellular telephones at the north side of the Courthouse, 110 N. Main St., Lockhart, Tx 78644, on October 31, 2011 at 10:30 a.m. Items available for auction will be available for inspection at 9:30 a.m. on that day. with service with that carrier. The inventory includes smartphones and regular cell phones from various manufactures. All inquiries should be directed to the Caldwell County Auditor’s Office on the 3rd Floor of the Caldwell County Courthouse. Pursuant to Chapter 13.2502 of the Texas Water Code, Martindale Water Supply Corporation hereby gives notice that any person who subdivides land by dividing any lot, tract, or parcel of land, within the services of Martindale Water Supply Corporation, Certificate of Convenience and Necessity No. 10312, in Caldwell and Guadalupe Counties, into two or more lots or sites for the purpose of sale or development, whether immediate or future, including re-subdivision of land for which a plat has been filed and recorded or requests more than two water service connections on a single contiguous tract of land must comply with Subdivision Service section (the “Subdivision Policy”) contained in the Martindale Water Supply Corporation’s tariff. Martindale Water Supply Corporation is not required to extend retail water service to a service applicant in a subdivision where the developer of the subdivision has failed to comply with the Subdivision Policy. Construction according to design approved by the Martindale Water Supply Corporation and dedication by the developer of water facilities within the subdivision following inspection. The Martindale Water Supply Corporation’s tariff and a map showing Martindale Water Supply Corporation’s service area may be reviewed at the MWSC’s office at 206 Main St., Martindale, Texas; the tariff/policy and service area map are also filed on record at the Texas Commission for Environmental Quality in Austin, Texas, and may be reviewed by contacting the TCEQ c/o Utility Rates and Services Section, Water Utilities Division, P.O. Box 13087, Austin, Texas 78711-3087. NOTICE is hereby given that original Letter of Independent Administration for the Estate of Joseph Matthew Billingsley, Deceased, were issued on October 10, 2011, in Cause No. 9679-A, pending in the County Court-At-Law of Caldwell County, Texas, to: Sandra Billingsley. Dated the 17th day of October, 2011. Equipment used for early voting will be tested on Saturday, October 22, 2011 at 10:00 a.m. at Caldwell County Tax Assessor Office, 100 East Market Street, Lockhart, Texas. Equipment used for election day will be tested on Friday, October 28, 2011 at 2:00 p.m. at City Hall, Glosserman Room, 308 West San Antonio Street, Lockhart, Texas. El equipo que se usara para votar adelantada se probara el Sabado, 22 dia de Octubre de 2011 a las 10:00 a.m. en la Oficina del Tax Assessor del Condado de Caldwell, 100 East Market St, Lockhart, Texas. El equipo que se usara el dia de la eleccion se probara el Viernes, 28 dia de Octubre de 2011 a las 2:00 p.m. en el Ayuntamiento de Lockhart, Glosserman Room, 308 West San Antonio St, Lockhart, Texas. 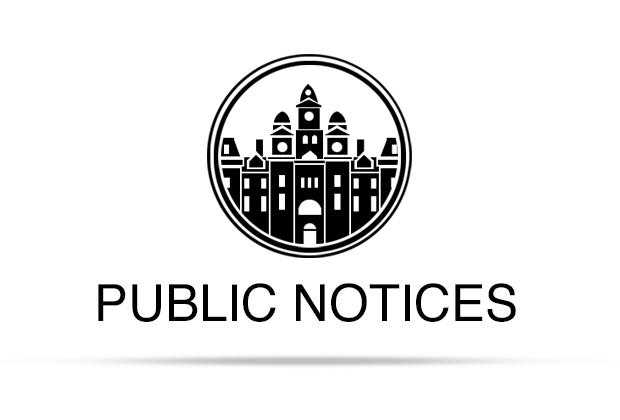 The City of Lockhart is accepting annual supply bids for approximately 40, 000 gallons of unleaded plus gasoline and 26, 000 gallons of No. 2 dyed diesel fuel. A minimum of two-thousand five hundred (2,500) gallons would be ordered at any given time. The price of fuels may increase or decrease based on the weekly average Oil Price Information Service (OPIS) price published each Thursday from the Austin, Texas, Rack. The amount designated as the supplier’s profit margin per gallon must include delivery and must remain the same during the term of the contract. The contract term will be for one year from the date of approval by the City Council. Bid award may be separate for each fuel. Required forms for bid submittal are available from the Public Works Office at 705 Wichita Street during normal business hours. Bids must be received by 2 p.m., Tuesday, October 25, 2011, at City Hall, 308 W. San Antonio Street, Lockhart, Texas, 78644. Bids not received by this time and date will be rejected. Bid envelopes should be externally marked to indicate “Fuel Bids”. The City of Lockhart reserves the right to reject any and all fuel bids. The officer executing this writ shall forthwith serve the same according to requirements of law, and the mandates hereof, and make due return as the law directs. Witness, TINA MORGAN, Clerk of the DISTRICT COURTS of CALDWELL County, Texas. ISSUED AND GIVEN UNDER MY HAND AND SEAL of said Court at Lockhart, Texas, this the 14th day of SEPTEMBER 2011.